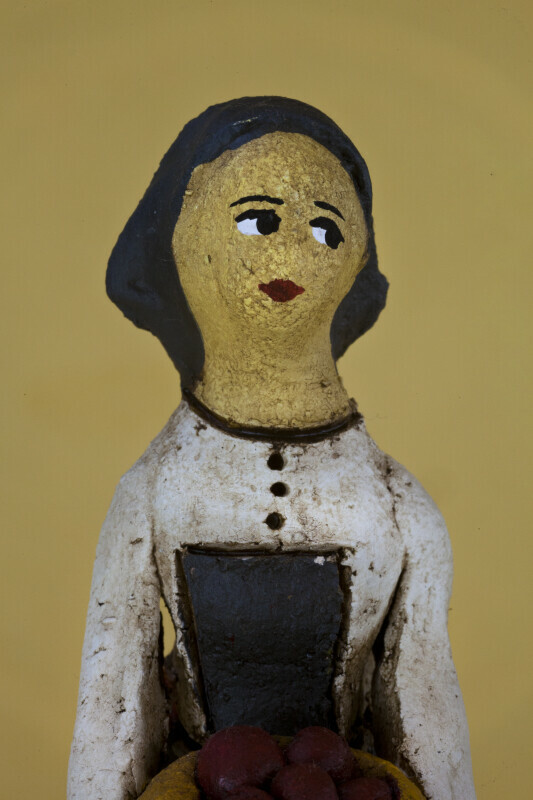 Ceramic female figure from Cyprus. She is wearing a red polka-dot skirt, with a grey apron and white blouse. On her head she has a grey head scarf. Her face is hand painted, with eyes, nose, and eyebrows. See is holding a ceramic basket full of fruits and vegetables. The figure is 6 inches (15 cm) tall. WARNING: You are about to download a 34.0 MB TIFF!